Waking up while it’s still dark then dragging yourself to the office. Barely seeing an hour of daylight all day long. Winter in London really takes a toll on the psyche. Thank goodness that we’ve got so many pubs to keep us warm, eh?! But as winter dissolves into memory and spring starts warming up our lives again, there’s lots to be cheerful about. The summer of 2019 looks like it’s going to be a good one. We’ve got Pride, the Proms and Wimbledon to look forward to, plus an insane line-up of festivals and the Cricket World Cup. But that’s all much later. Right now, there’s lots of celebrating going on around the world, with Carnivals, Women’s Day, Holi and St. Patrick’s Day. And with such an abundance of talent on our doorstep, you can blend it all into your events here in London. The Rio Carnival and New Orleans Mardi Gras both took place at the start of March… But don’t worry, you can keep the festivities going right here in London. Mardi Gras and the Carnival both have roots in the Christian tradition of Lent: ‘Mardi Gras’ means ‘Fat Tuesday’ and its UK equivalent is Shrove Tuesday. Judging from these pictures though, prepping for abstinence in Brazil and New Orleans is somewhat more lively than stodgy pancakes. For a New Orleans vibe, try London-based band the Blind Tigers. Inspired by jazz luminaries Louis Armstrong and Hoagy Carmichael, they conjure the atmosphere of a lively dancehall or lazy speakeasy. But they are equally comfortable in the modern style of crossover artists such as Harry Connick Jr and Eliza Doolittle. This wide range of expertise makes them ideal for large-scale corporate functions or weddings. They also work well as background music for dinner or drinks, adding a summery atmosphere with their virtuoso musicianship. The Blind Tigers Promo Video – watch on YouTube. For centre-stage entertainment, we’ve got London’s premier Brazilian Samba dance and percussion band. They boast an impressive repertoire of authentic Rio Samba, and a line up of stunning dancers wearing traditional attire. The theme can be expanded with singers, horns and dancers to provide a carnival spectacular with upwards of 20 performers. London’s Brazilian Dancers live – watch on YouTube. International Women’s Day has been held annually on 8th March since its official recognition by the UN in 1975. Nowadays, we mark this day by celebrating the social, cultural and scientific achievements of women and campaigning for gender equality. We’ve got some of London’s most talented female artists available for large scale events. We particularly recommend Beatles by Girls, Festival Foxes and the Gold Quartet. 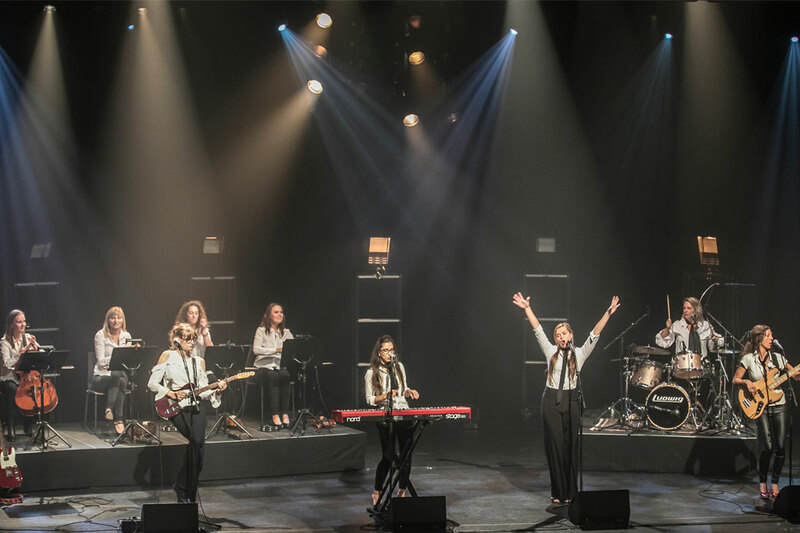 This awe-inspiring group of musicians will take you on an trip to 1960’s Liverpool to rediscover the Beatles’ music. 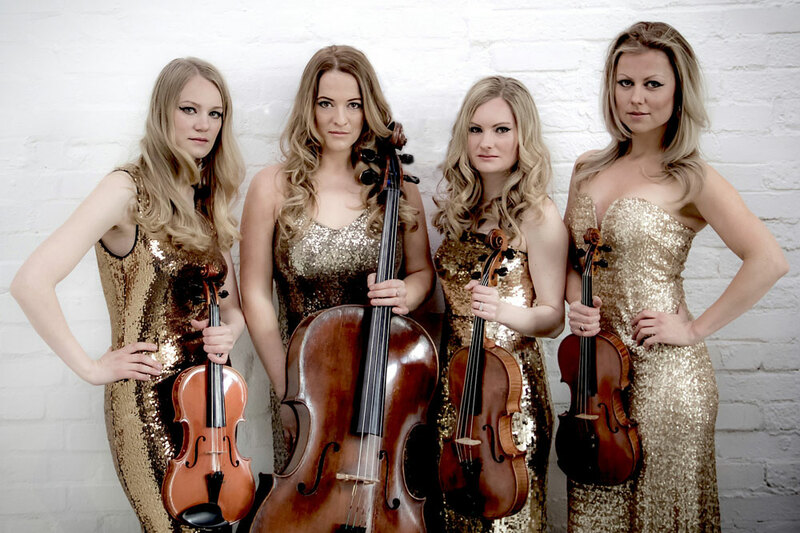 But they are much more than a fabulous foursome – they also boast a five-piece string section! This makes songs like Yesterday and Eleanor Rigby sound every bit as good as they did on the studio albums. As the classic four-piece, their repertoire includes Hey Jude, Penny Lane, Let It Be, Yellow Submarine, and many others. Beatles By Girls, live and in the studio with various line-ups – watch on YouTube. Looking for a professional wedding and function band that specialise in artful interpretations of dance floor fillers and festival favourites? Then look no further: the Festival Foxes is a band blessed with unrivalled musicianship, and presentation to match. 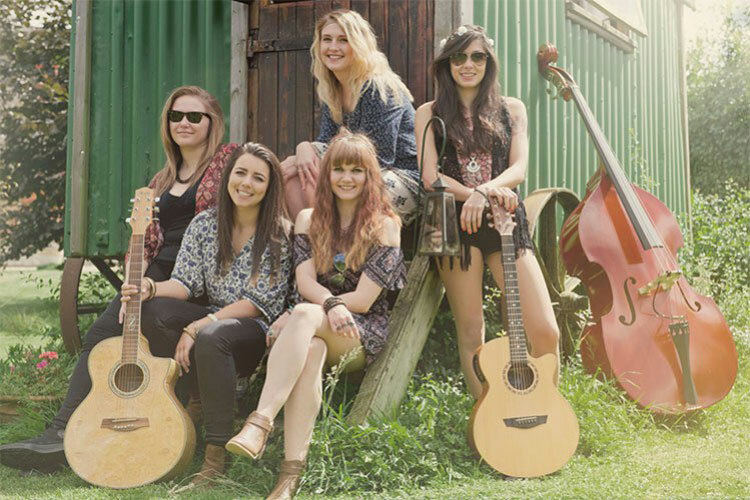 Assembled from five of London’s best professional session musicians, they typically offer two sets. The first is a barnstorming acoustic selection of pop classics spanning five decades, complete with double bass and soaring harmonies. Later in the evening, they’ll rip the lid off the event with an electrifying indie-rock/pop set. The Foxes’ collective CV is simply incredible. They’ve performed at Glastonbury, Bestival, Coachella and Rock Am Ring among many other remarkable shows and celebrity tie-ins. Promo video of Festival Foxes – watch on YouTube. Gold Quartet is a string quartet comprised of virtuoso musicians who perform with the utmost sophistication and elegance. Boasting a vast repertoire of both classical and pop compositions, they guarantee an impeccable performance in a variety of settings. Between them, they have performed throughout the world. Venues and events include the Royal Albert Hall, Buckingham Palace, the Globe Theatre, Southbank Centre, Hammersmith Apollo and Glastonbury Festival. Promo video of Gold Quartet – watch on YouTube. 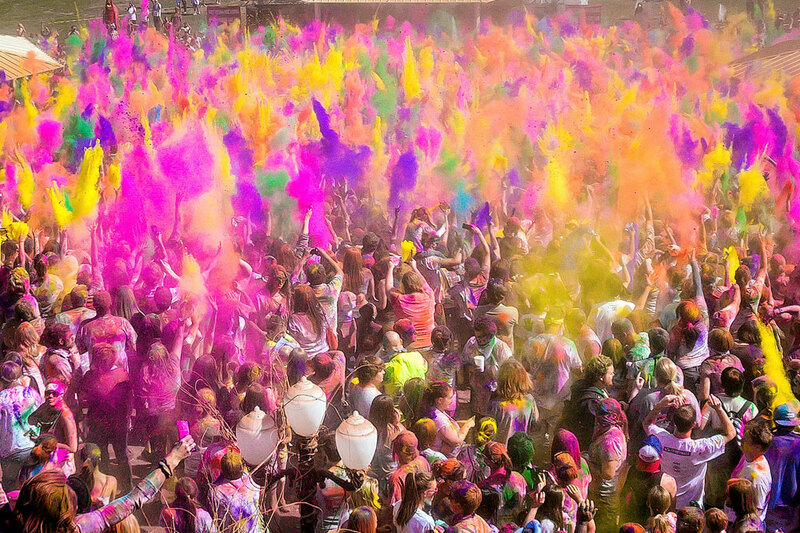 The Indian festival is rooted in Hindu spirituality and celebration of the spring. But it’s perhaps most known in the west for the vibrant neon-coloured dyes that are tossed around crowded streets. We’ve got all the ingredients you could possibly need to add the incredible colours of India to your events. London’s leading Bollywood dance troupe, The Bollywood Co, is known worldwide for their spectacular routines, professionalism and attention to detail. Each member is professionally trained in multiple disciplines, and they have actually been featured in a number of blockbuster Bollywood movies. A typical set includes a 10-minute medley comprising graceful classical moves, up-tempo street choreography, and finishes with some high-energy Bhangra beats. Promo video of the Bollywood Co – watch on YouTube. 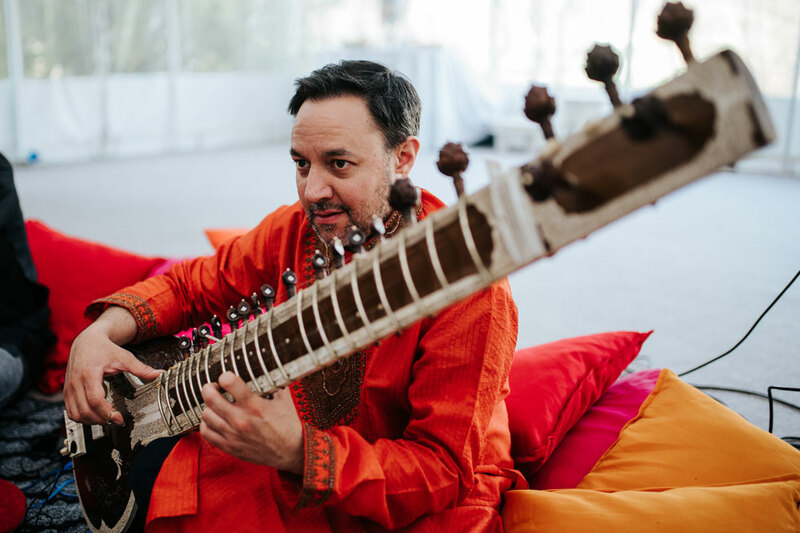 Our sitar player Jonathan Mayer studied in India under some luminaries in the field including Imdadkhani Gharana and Ustad Wajahat Khan and is arguably the UK’s leading sitarist. Together with our tabla player, they form an exciting, musically diverse duo and make an excellent stage performance for wedding ceremonies and drinks receptions, parties, restaurants or any kind of event where Indian music is required. They can provide their own PA system and if you are looking for something different, they can offer a bansuri (flute) player or sarangi player to back them up. Jonathan Mayer performs at the High Commission of India – watch on YouTube. Why not combine classical Indian music with some classical Indian dance? Our Indian dance troupe can perform in a range of styles, including Odissi, Kathak and the traditional classical style, either solo or as a dance troupe. Their magnificent performances are always elegant and combine choreography with traditional music, to creating a refined, yet lively, ambience. The Odissi Ensemble perform Mangalacharan – watch on YouTube. Things tend to get a little bit blurry on St. Patrick’s Day but that’s never the case for our troupe of Irish dancers! They bring the magic and tradition of Irish dance to your event with a marvellous array of talented performers. 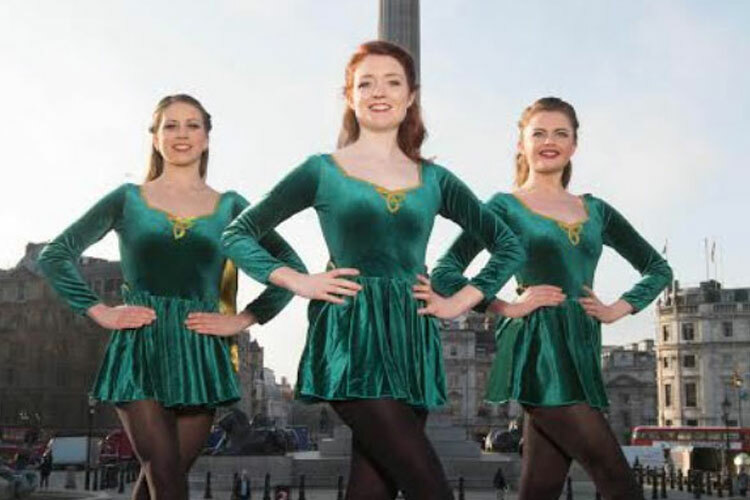 A form of cultural dance that originated in Ireland hundreds of years ago, this beautiful style has experienced renewed popularity in recent years thanks to world-famous shows such as Riverdance and Lord of the Dance. An awe-inspiring form of dance, it involves intricate foot movements whilst performers hold their upper bodies straight and tall, and hands and arms are little used. Featuring dazzling costumes, impressive choreography, impeccable technique and authentic Irish music, our dancers will provide you with exceptional performances that will captivate all who witness them, demonstrating the timeless beauty of Irish dance. Perfect for private parties, ceilidhs, themed events, corporate functions, festivals, gala dinners and more, our Irish dancers are guaranteed to enchant at any occasion. Irish Dance – watch on YouTube.